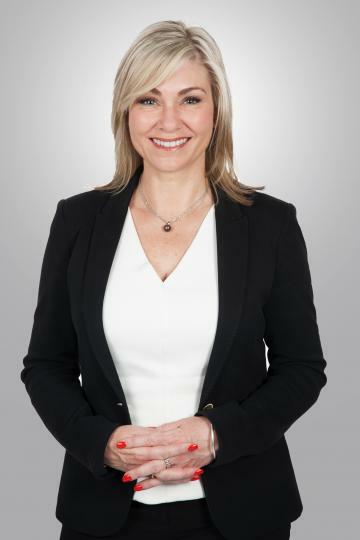 Having excelled at selling real estate for the past five years, following a highly successful career built over many years in institutional and commercial banking, Julie brings to the table a wide range of finely honed skills and experience. She is passionate about the real estate industry, strengthened by multiple personal buying/selling property transactions over time. This means that Julie brings a point of difference in providing her clients invaluable well-informed advice and levels of service. When engaging Julie as your agent you can rely on her to be a knowledgeable professional in the local market and to represent your interests with integrity, enthusiasm and boundless energy. If this means working 24/7 to achieve the best result for you, then you will find her willing to put in the time and effort to make it happen. This is called personal service and if you do business with Julie, she is your one and only contact all the way through the marketing, negotiation and sale process. Julie prides herself on her work ethic and ability to consistently achieve excellent results for her clients. Her efforts have been rewarded by the high volume of referrals and repeat business she receives. Appointing Julie to represent you will bring tremendous value to the sale and marketing process of your property. This is a rare opportunity to snap up a fabulous corner block of land in a blue-chip location. Offering a 438sqm Survey Strata allotment on which to build your luxury residence or ideal lock up and leave abode, this property is superbly located in the heart of the Applecross Village precinct, just one street from the river foreshore, steps away from parklands, close to Applecross Primary, a short distance to the cafes and restaurants of Kearns Crescent and convenient to all amenities. With an approximate 24 metre northern frontage to Spey Road and a 17 metre frontage onto MacLeod Road, the potential to build a significant home with great street appeal is on offer. You can choose to build an impressive double storey home or a very large and stunning single level home due to the higher footprint being on offer as a result of the truncation and being a Survey Strata title. As a bonus, the property comes with a very liveable and surprisingly spacious three-bedroom, two bathrooms, 1980’s home which can provide you with your residence or an income for as long as it takes to complete your planning. Register your interest now and start planning your dream residence in this highly desired location. Taking pride of place in the exclusive Troy Street cul-de-sac, this house sits on a prime east–west, 876sqm block. Surrounded by stunning new homes in the immediate vicinity, this modest 5 bedroom, 2 bathroom family home, constructed in the late 80s, would comfortably house your family or alternatively make a sound and rentable investment property. This absolutely unique land holding offers a redevelopment opportunity for an extraordinary interplay between the stunning location close to the river’s edge, position on the street and the warm and energising northern light. The home itself offers five large-sized bedrooms and two bathrooms Additionally, there are two generously-sized living areas. The formal lounge & dining is at the front of the house, while the informal living area is at the centre of the home; it integrates with the backyard and provides an out-of-the-way area for your kids to play whilst you keep an eye on them from the kitchen area. There is the potential to put a swimming pool in the back yard due to its size and orientation. The kitchen is functional, with solid timber cabinetry, and it integrates well with the private gardens and enjoys warm winter sunshine. The kitchen overlooks the informal open plan living area. Other features include recently upgraded ducted refrigerated air conditioning, intercom and kitchen appliances. Whether you are chasing a truly exceptional riverside land parcel for immediate redevelopment, or a modest yet functional family home at block-value in which to live now and contemplate your future, it is likely that you will not see a comparable opportunity any time soon. Corner site, two titles comprising 839sqm of prime land with the bonus of two very rentable homes to provide an income whilst you complete your planning. Surrounded by stunning homes all opposite parkland and in teh heart of Applecross. Options include: - Build your dream family home in a dream location on your family sized block knowing that the backyard can be subdivided into the future - Demolish, subdivide and profit - Demolish, develop and profit - Landbank the properties and watch your money grow Stunningly located just steps from the Swan River and Applecross Village. Call or email for further details. STUNNING HOME - BRILLIANT BUY! This West facing block boasts a street frontage ensuring ease of planning, design and execution of your new luxury residence. Located in Attadale's Dress Circle this property features first-class positioning, opposite the golf course, close to the river and with easy access to arterial roads, shopping hubs and transport. Bonus of a 2 bedroom, 2 bathroom clean & tidy house to allow you to collect rent whilst you design your dream home. This block of land assures a tranquil, blue-ribbon lifestyle nestled within an enviable and established location. - Survey Strata - Street Frontage - 505sqm Of Land - Build your luxury dream home - Centrally located to all amenities - Bonus 2 bedroom, 2 bathroom clean & tidy house - Potential for city & river views For further details or to arrange an onsite meeting please contact Joseph Mansour on 0412 672 234. Fully renovated, there’s nothing left to do but enjoy this contemporary 4 bedroom, 2 bathroom + STUDIO/GRANNY family home, with spacious indoor and outdoor living areas. As you step inside, you will be taken with the size of the huge front lounge room, perfect for the whole family to enjoy movie night. With beautiful bamboo floors, the sun-drenched family room and kitchen with granite bench tops overlook the sparkling below ground saltwater pool, so you can watch the kids swim as you cook. The well-appointed bathrooms include a bath and double sinks in the main. The main bedroom has a sliding door with an outlook to the vegetable patch and herb garden, with the generous second bedroom also featuring a sliding door out to the gorgeous pool area. Enjoy summer evenings outside on the patio, with two separate dining and entertaining areas, including a built in gas barbeque. There is a surprise in store as you head out the back, with a games room/teenage retreat/studio - the perfect place for the kids to hang out with their friends. This two room hideaway features a brand new bathroom, with shower and toilet, perfect for the kids coming in and out from the pool. Set on a generous, 720 sqm subdividable block, the fenced front garden is perfect for young children to safely play on the grassed area and deck. Located in a loop attracting only local traffic, you will be amazed by the peace and quiet, and yet it’s just a short stroll to Garden City Shopping Centre, Booragoon Bus Station and Melville Aquatic Centre. Also within easy walking distance is Booragoon and Ardross Primary Schools (with the home in an area zoned for both, so the choice is yours) and Applecross Senior High School. This is a rare opportunity to secure 364sqm of street front land in a peaceful, tightly held precinct within this rapidly developing suburb. The property comes complete with a bonus, well maintained and charming three bedroom cottage. The cottage is in excellent condition with modern refurbishments making it ideal as an entry level Booragoon home or as an excellent rental whilst you proceed with plans to build your brand new home. Don’t delay to snap up this opportunity as it is priced to sell. BRILLIANT RIVER SIDE VALUE – OPTIONS GALORE! LIFESTYLE LOCATION - NEW PRICE ! A modern townhouse with so much on offer, this will impress you with size, location and quality! It’s set on a 204sqm survey strata block behind a securely gated private complex of eight townhouses. Downstairs a large open plan living, meals and gourmet kitchen area opens out to a sizeable, north facing outdoor patio area. Upstairs you will find three extremely well sized bedrooms with two hotel style semi-ensuites both finished with neutral modern ceiling height tiling, quality fittings and baths. Situated within a short stroll to the Kearns Crescent retail and restaurant hub, public transport links, close to Ardross Primary, Applecross High School, Wireless Hill and a short drive to Garden City Shopping Centre and the Freeway. Be sure to get in quick, this townhouse won’t last long. LARGEST AND BEST POSITION IN THE COMPLEX ! Ideally located at the rear of this immaculately maintained complex for over 55's, this villa is light, bright and spacious with its open plan design and neutral décor. It contains two good sized bedrooms, the large kitchen is well equipped and overlooks the spacious, open plan dining and living areas. The lounge area opens out to a lovely, neat and tidy, low maintenance, covered alfresco courtyard and garden area. The bathroom and combined laundry is generous. Other wonderful features include: - Ducted reverse cycle air conditioning throughout - A designated undercover car bay located directly adjacent to the villa - Store room - Only one common wall - The largest villa in the complex - The best located being right at the back of the group with its own entry off Mullings Way. This property is conveniently located in a highly desirable suburb within walking distance to public transport, facilities, shops, river and parks. A shared Communal Centre within the group allows access a lounge/library/TV room with access to a Snooker table and other items plus a separate kitchen with facilities, art room and exercise room. Please call for more information or to arrange an inspection. Brilliant redevelopment potential and wonderful exposure for many types of commercial businesses or residential multi storey development. Perfect shape and size for future development with 20 meter street exposure to Reynolds Road and adjacent to multi-national companies. The site is zoned Centre Zone C4 - R60 as per the current City of Melville Local Planning Scheme No. 6 with a plot ratio of 1 and a building height standard of 17.5 metres maximum. A modest 4 bedroom, 2 bathroom plus granny flat house sits upon the 793sqm of land, allowing you the opportunity to rent out the home for the short term whilst you develop plans or alternatively refurbish the existing property to convert to a commercial space with minimal expense. A copy of the zoning definition and permitted use table is available on request. Note the definitions have been extracted from the City Of Melville Town Planning Scheme and any interested party should make their own enquires to the City of Melville to satisfy themselves of current and potential permitted use and potential for redevelopment. Peacefully located in a quiet cul-de-sac, is this immaculately presented and maintained family home. Comprises four bedrooms plus a generously sized home office which could easily serve as a fifth bedroom. Formal lounge and dining rooms, spacious open plan, informal meals area and family room plus a fantastic games room. All casual living areas opening out to a fabulous north facing alfresco with beautiful gardens and backyard. The spacious, renovated kitchen containing quality European appliances is centrally located and can be entered via a secure shopper’s entrance. A terrific BONUS of this home is the large powered workshop which can be accessed via the double lock up garage. The neat and tidy backyard is just perfect for kids and pets and there is plenty of space for a pool if that’s your desire. The home is completed by reverse cycle air conditioning, monitored alarm system and is fully reticulated. Hurry ... this won't last long. Rarely do homes located in such a superb position come to market in Winthrop. This much loved family home directly overlooks the beautiful Piney Lakes Reserve and is situated at the end of a peaceful cul de sac in an exclusive, highly coveted pocket. Set over three levels, the residence has been architecturally designed to perfectly capture the magnificent, panoramic park views, northern sunlight and summer breezes. This amazing opportunity offers enormous potential. A must see for anyone interested in a stunning, modern family home located in a convenient location with superb attention to detail. Life's too short to be worrying about renovations, extensions or building from scratch. All the hard work has been done for you with this home that offers a modern and practical floor plan with copious living space combined with visual excitement. The home enjoys large separate living zones, each one with an abundance of natural northern light emanating through the windows and open plan living space serviced by a modern kitchen fitted with quality appliances and stone bench tops. The perfect entertainer seamlessly joins both in and outdoor living with a large alfresco area and grassed area for the kids. Generous accommodation provides segregation between the parent's retreat downstairs with massive walk in robe and lavish en-suite and the children's wing upstairs with all bedrooms being well proportioned, having ample storage and their own rumpus/activity area. Property Features Include: - Rear Northern orientation; - Master Bedroom with large walk-in robe on ground floor; - 3 minor bedrooms (all double sized) all with built-in robes; - Large rumpus/activity room upstairs; - 2 bathrooms + powder room; - Master features separate toilet; 2nd bathroom has both a separate bath and shower; - Double over sized garage with direct house entry + storeroom/workshop space; - Open Plan family living; - The hub of the house consisting of a well sized kitchen with open plan meals and family room that have a beautiful outlook and plenty of room to move; - Ducted reverse cycle air-conditioning; - Al fresco area with exposed Cedar cladding with automated sunblock blinds; - Reticulated gardens off the mains; - Immaculate easy care reticulated gardens; - Aggregate concrete around the entire property; - 468sqm rear private property with your own private driveway; - Solar Panels. A wonderful home in a great location, this property offers outstanding value. Be sure to book your inspection today. This is a golden opportunity to secure an extremely well positioned duplex block with dual street frontage. With WAPC approval to subdivide into two street front blocks, the property is positioned on the corner of a pleasant cul de sac and located in the sought after Applecross High School Zone. It is just steps from popular Winthrop Park, walking distance to Winthrop Primary and has easy access to all amenities including Fiona Stanley Hospital, Murdoch University, Corpus Christi, Garden City Shopping Centre and the Freeway. The existing generously sized, four bedroom, two bathroom home is solid and could provide an income whilst you undertake your development plans. Alternatively, renovate the house and make it your family home or long term investment in a fabulous location, whilst land banking for the future. Or are you considering downsizing but finding it hard to find a suitable home in the area? Here’s a way to build your perfect home on your chosen block whilst making a profit and/or funding your build by selling the other. Be sure to enquire today as this opportunity won’t last long on the market and is certain to make you money. A modern double story architect designed townhouse in the cosmopolitan hub of Mount Lawley, yet in a unique cul-de-sac location. Enjoy the vibe and aroma of your neighbourhood, including the iconic Coode Street Cafe. Reduce your travel time to work with a short commute from the city and train station nearby. Appealing property features include: - Two double sized bedrooms with built-in robes - Split-level living that flows out to a private North facing courtyard - Flooded in natural light - Excellent storage, including attic and secure storeroom - Polished concrete floors - Second bedroom is loft-style, overlooking the courtyard - Study area/upstairs landing - Additional powder room downstairs - Ducted air conditioning throughout - Reticulated Gardens - 107sqm internal living - Off street parking for 2 cars - No common property and no strata fees - Close to the River and the thriving 8th Avenue cafe strip A rare opportunity to buy a small house in Mount Lawley, with your own street frontage, NO Strata Headaches and NO Common Property! This is inner-city living at its best! We would like to acknowledge the outstanding service of Julie Forrest, who acted on our behalf as both a selling and buying agent in Winthrop and Melville. It was our very good fortune to have met Julie at a home open when we commenced our search for a new property. She is calm and friendly, listens to her clients’ needs and requests, gives sensible and accurate advice, and uses her experience and business acumen to achieve the best result possible for her clients. We would like to commend Julie on her impeccable presentation, attention to detail and all round professionalism. She offers a high level of communication with her clients and keeps them informed at all stages of the selling and buying process. Majestic Central has a great Sales Executive in Julie and we wanted it on record, what a wonderful asset she is to your company and ongoing business. We would highly recommend Julie to anyone requiring the services of an elite real estate agent.